The State of Mississippi is comprised of eighty-two counties. Every county has at least one county seat; however, there are ten counties with two county seats that represent two separate judicial districts. Each judicial district is treated as its own separate county. The proper venue for a case, meaning the proper county or judicial district in which a case should be filed, depends on various factors. Depending on the facts of each case, it may be initially filed in Circuit Court, Chancery Court or County Court. Circuit Court judges reside over civil actions if the amount in controversy exceeds $2,500.00 and reside over felony criminal prosecutions. Most Circuit Court cases are tried in front of a twelve person jury; however, in some instances, the judge may preside without a jury. The Circuit Court has appellate jurisdiction over decisions from County, Justice and Municipal Courts and certain administrative boards and commissions. In Mississippi, there are twenty-two Circuit Court districts and fifty-three Circuit Court judges. 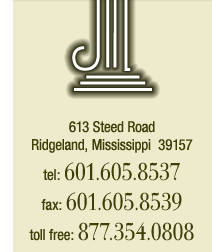 Hinds County has four Circuit Court judges; whereas, Madison and Rankin Counties share two Circuit Court judges. Chancery Judges hear cases concerning domestic matters, land disputes, estates, guardianships, mental commitments, juvenile matters and suits in equity. Trials in Chancery Court are typically heard without a jury. There are twenty Chancery Court districts and forty-nine Chancery Court judges in Mississippi. Hinds County has four Chancery Court judges, Rankin County has two Chancery Court judges and Madison County has two Chancery Court judges, who also hear cases in Leake, Yazoo and Holmes counties. The following twenty-one Mississippi counties have County Courts: Adams, Bolivar, Coahoma, DeSoto, Forrest, Harrison, Hinds, Jackson, Jones, Lamar, Lauderdale, Lee, Leflore, Lowndes, Madison, Pearl River, Pike, Rankin, Warren, Washington and Yazoo. County courts have jurisdiction over civil cases, in which the amount in controversy is less than $200,000.00, juvenile matters and some criminal cases. County Court has concurrent jurisdiction with Justice Courts and may issue search warrants, conduct bond hearings and preside over preliminary hearings. Justice Courts have jurisdiction over civil matters in which the amount in controversy is less than $3,500.00, misdemeanor crimes, and traffic offenses that occur outside of a municipality. In Mississippi, there are eighty-two Justice Courts with one hundred ninety-seven judges. Having an attorney who has practiced in the various courts is helpful and efficient. Please let usknow if we can assist you.